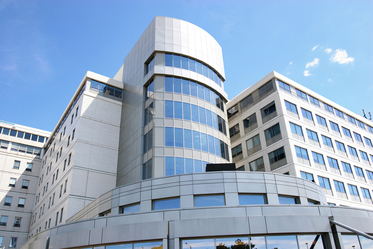 McParlin & Co. provides corporate development and strategic advisory services to healthcare companies across the country. 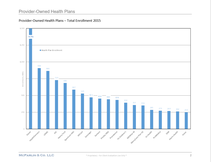 Since the advent of the ACA, healthcare systems have operated in an unusually complex and dynamically changing business and regulatory environment. 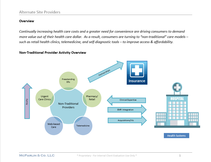 In an attempt to adapt to this new landscape, health systems are moving forward on multiple corporate initiatives including improving population health capabilities, geographic coverage, patient outcomes, operating cost structure and HCIT infrastructure. 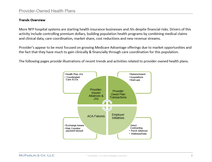 M&A and physician integration are integral aspects of achieving corporate objectives. 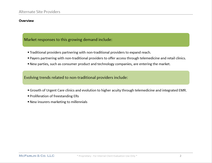 Assessment of acute-care M&A and joint venture alternatives, including market analysis. 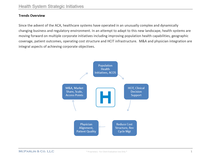 Expansion of patient care continuum through new post-acute care joint ventures. Identification of alternatives for under-performing non-core businesses including exit and new partnerships. Competitor analysis, industry trends analysis and market level, peer group and national cost benchmarking. 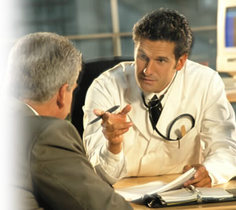 We specialize in helping healthcare companies and investors solve complex strategic and operational problems.